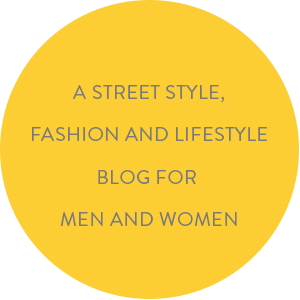 I am happy to bring to you the third edition of my Five days Five looks One pal with Esha. Earlier you have seen Prasad Ramamurthy and Sudipta Nandi featured in this story where digging deep into the wardrobes of my pals I bring to you 5 distinct looks, which portray different shades of their personality. Esha is a vivacious and much talented designer. 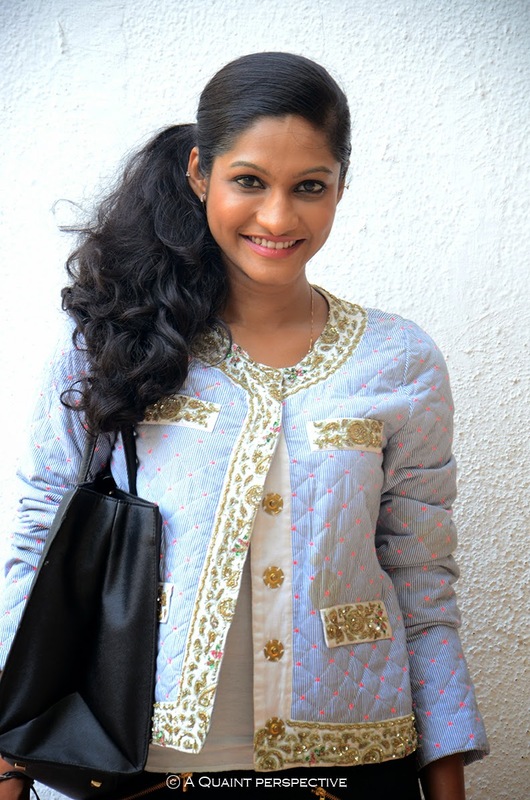 She has created a niche for herself in styling celebrities from Bollywood, Television, Sports, Runways as well as budding Miss India hopefuls. It was quite a task to edit from her envious collections of clothes, shoes, handbags and accessories, to bring her to you in 5 different avatars over the next weeks. Today Esha is styling a Bollywood diva for an event and once done she has to be ready for a photo-op as well. 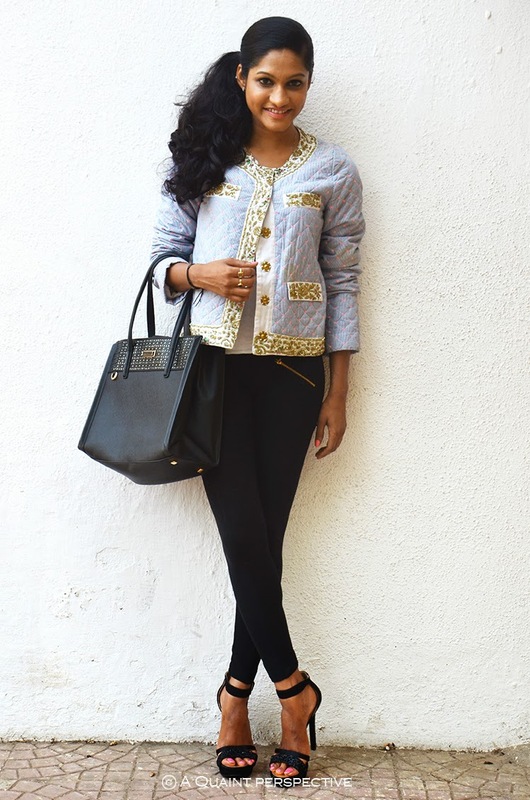 Being a stylist she is always on the run.........so into the bag go the black stiletto sandals and the exquisitely gold embroidered and quilted jacket with a touch of neon. What she wears inside is pure comfort of a white camisole and a pair of form flattering slacks in black with gold zipper detail. A pair of always-in-my-bag flats lets her through all the frantic activities of the day. She poses for me just before going out for her photo-op. The transformation she brings about with her jacket, her heels, her kohl lined eyes and rose lips and her brushed-to-a-side hair in a pony is amazing.......all in the span of 5 minutes! 'You have to think on your toes' she says.